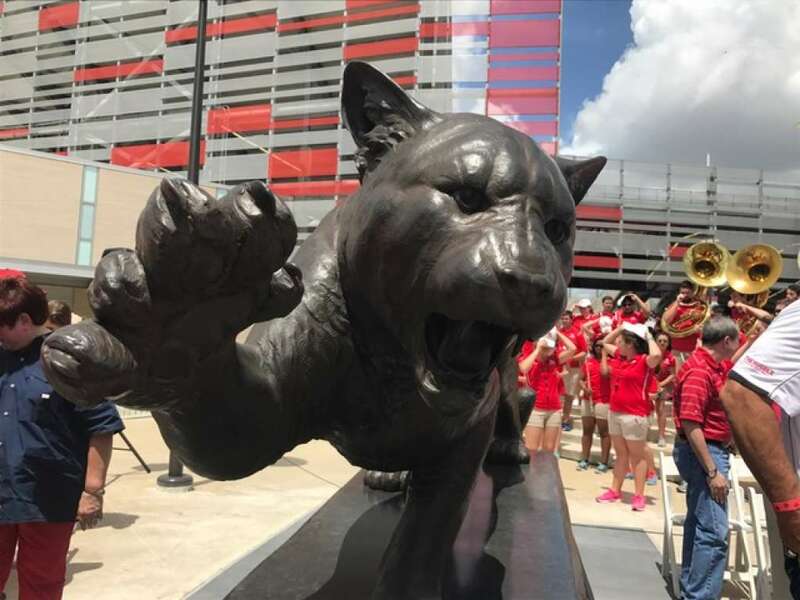 A fierce new 1,400 pond bronze cougar statue now guards the TDECU Stadium at the University of Houston. The sculpture is by Daniel Glanz from Colorado and it is a replica of Shasta, the live mascot from the 1950’s. Mike Pede, the president and chief executive officer of the UH Alumni Association, spearheaded the more than a two-year project. The statue was privately funded with 36 alumni donors contributing to the cost. Between 1947 and 1989, five live cougars served as mascots; since Shasta V’s death in 1989, costumed students have carried on the tradition. Before a big game, Cougar fans “rub the paws” of the cougar statue. Sometimes students rub the paw for extra luck for final exams, too. At game time, Cougar fans show their support by making the “cougar sign,” made by folding the ring finger of the right hand toward the palm. The tradition dates back to 1953, when Shasta I, the presiding cougar mascot, lost a toe in a cage door on the way to a game. The opposing team, the University of Texas, mocked UH by imitating the cougar’s injury. The Cougars soon adopted that gesture as a symbol of pride. 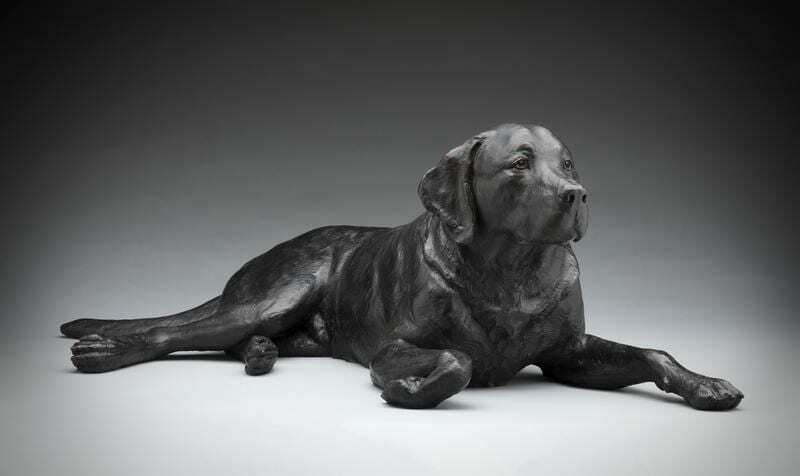 Sculptor Daniel Glanz is delighted to continue the tradition with the addition of his new rendition of Shasta, U of H’s beloved cougar.